Whether you’re on foot, on your bike or in your kayak, your gear is always safely stowed in an ORTLIEB Dry Bag. Our dry bags are lightweight, incredibly durable and guaranteed waterproof! 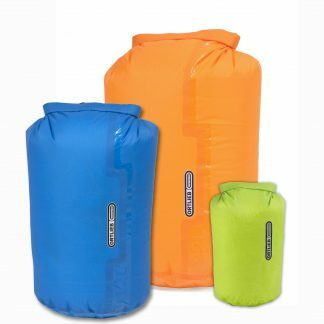 And if you want reduce the space you need for your soft things to an absolute minimum, consider one of our compression dry bags – the perfect dry bag for your outdoor trip! Waterproof dry bags in various colors, sizes and shapes are ideal when you want to ensure quick and certain access to the stuff you have in your backpack or bike bag. Just look for the assigned color to quickly locate your kitchen utensils or your clean clothes. Need even greater protection? 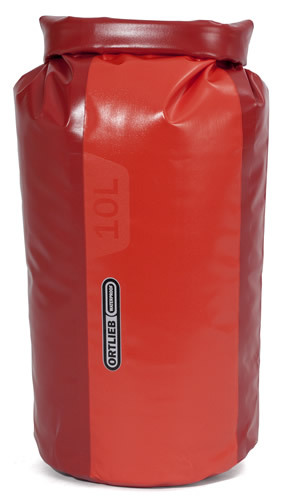 We also manufacture dry bags made of more rugged materials. These bags can then be stored directly in your canoe or transported on top of your car. Our Gear-Pack, X-Plorer and X-Tremer models are a perfect combination of dry bags and backpacks. Whether you use them for canyoning, spelunking or some other adventurous activity, these durable dry bags are outfitted with shoulder straps for convenient carrying. Lighter than any conventional backpack, our X-Plorer and X-Tremer can also be rolled up in a space saving manner when empty. 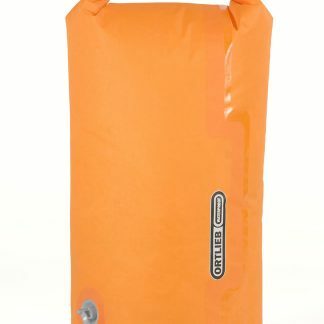 No matter where your outdoor adventure takes you, a waterproof dry bag by ORTLIEB will never leave you in the lurch.